All kids deserve the opportunity to discover who they are and what they can achieve—and Camp Manitou is a great place to just that. Explore Day Camp and Swim Lessons for kids ages 3-14. Few environments are as special as camp, where kids become a community each summer. 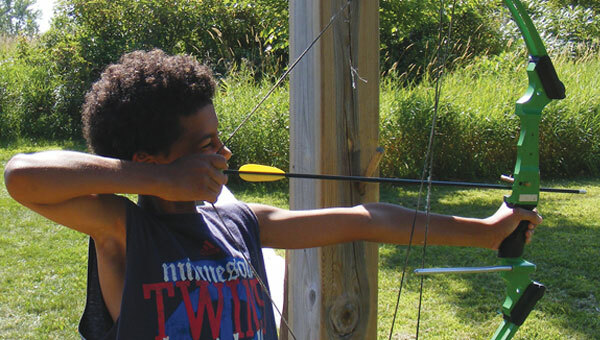 Day Camp teaches self-reliance, a love for nature and leadership skills. YMCA camps are built on character-building values of caring, honesty, respect and responsibility. Kids age 4 through those entering grade 8 enjoy activities like swimming, canoeing, archery, fishing, cookouts, arts and crafts and more. Campers entering grades 7-9 experience hiking, outdoor cooking, campfires and swimming while on three-day field trips. Special rates for Camp Manitou programs are available for those who meet income requirements—everyone is welcome to apply for a scholarship to Camp Manitou.